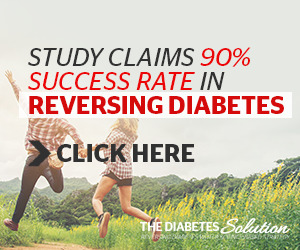 For the same reason that people have recently sought substitutes for fat, noncaloric sugar substitutes became popular in the 1960s as people began to try to control their weight. 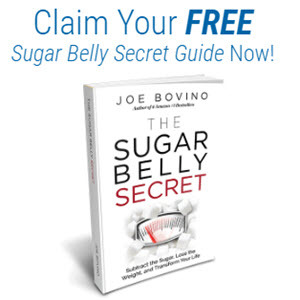 Sugar substitutes are of two basic types: intense sweeteners and sugar alcohols. Intense sweeteners are also called non-nutritive sweeteners, because they are so much sweeter than sugar that the small amounts needed to sweeten foods contribute virtually no calories to the foods. These sweeteners also do not promote tooth decay. Currently, four such intense sweeteners are available, both for use in processed foods and for home consumption. The U.S. Food and Drug Administration (FDA) has set "acceptable daily intakes" (ADI) for these sweeteners. The ADI is the amount that can be consumed daily over a lifetime without risk. One of these sweeteners is aspartame (NutraSweet brand). It is manufactured by chemically modifying the naturally occurring amino acid phenylalanine. This sweetener can't be used by people with phenylketonuria (a rare congenital disorder that disrupts the body's ability to metabolize phenyl-alanine and can result in severe nerve damage). Despite extensive safety testing showing aspartame to be safe, its use has been implicated by the popular press in everything from headaches to loss of attentiveness. At this time, there is no scientific validity to these claims. Aspartame is not heat stable, so it can't be added to foods that will be cooked or baked, although it can be added to some foods (such as coffee) after heating. Saccharin, a second non-nutritive sweetener, was associated with cancer in mice when it was fed in very large amounts. However, further studies have found no links between saccharin and human cancer. This recently led the U.S. government to remove it from its list of potential cancer-causing chemicals. Although saccharin is heat stable, in some cases it cannot satisfactorily be used in baking because it lacks the bulk of sugar. Foods contain a variety of carbohydrates, from simple to complex. 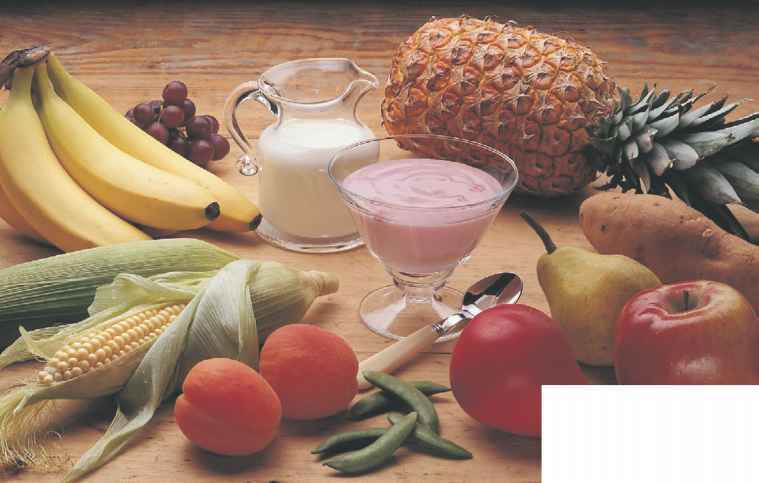 Fruits vegetables, grains, and dairy products all contain carbohydrate. clean and quickly perceptible, although disagreement exists about whether it leaves an aftertaste. A fourth intense sweetener, sucralose (Splenda), was approved by the FDA in 1998 for sale and use in commercial food products. Sucralose is made by chemically modifying sucrose (table sugar) to a non-nutritive, non-caloric powder that is about 600 times sweeter than sugar. Before approving sucralose, the FDA reviewed more than 110 research studies conducted in both human and animal subjects. It concluded that the sweetener is safe for consumption by adults, children, and pregnant and breastfeeding women in amounts equivalent to the consumption of about 48 pounds of sugar annually (an Acceptable Daily Intake of 5 milligrams per kilogram of body weight). 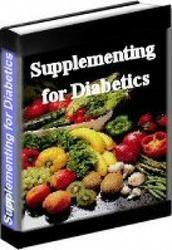 People with diabetes may also safely consume the sweetener, because it is not metabolized like sugar. In addition, sucralose is highly stable to heat and so will not lose its sweetness when used in recipes that require prolonged exposure to high temperatures (such as baking) or when stored for long periods. The product is currently available in the form of a powdered sugar substitute and in some commercial baked goods, jams and jellies, sweet sauces and syrups, pastry fillings, condiments, processed fruits, fruit juice drinks, and beverages, and its use is approved for various additional products. However, use of sucralose in home baking is expected to be limited by its low bulk in comparison with table sugar. Foods containing intense sweeteners should not be given to infants or children, who need energy to grow and to sustain their high activity levels. Foods that contain intense sweeteners and lack any nutritive value also should not replace nutrient-dense foods in your diet. The sugar alcohols xylitol, mannitol, and sorbitol contain less than 4 calories per gram. These sugar alcohols are digested so slowly that most are simply eliminated. Unfortunately, excessive consumption can cause diarrhea or bloating in some people. So-called "natural" sweeteners provide the same number of calories as sugar and have acquired the reputation, albeit incorrectly, of being healthier than sugar, because they seem more natural than processed table sugar. These include honey, maple syrup and sugar, date sugar, molasses, and grape juice concentrate. In reality, these sweeteners contain no more vitamins or minerals than table sugar. Honey may harbor small amounts of the spores of the bacteria that produce botulism toxin and should never be given to babies younger than 1 year.